“They say humans have inhabited earth for thousands of years. They are wrong. Humans have slowly been destroying earth for thousands of years, exhausting this once peaceful planet and everything that lived in harmony with it. 50 years ago, the predictions were publicised, earth would be in ruin and extinction would close in on us. But no one took notice. A blind eye cast towards the ‘experts’ and our trends continued. Overpopulation, nuclear atomic wars, engineered disease. All very real threats we regret to ignore. So wrapped up in universal destruction; deforestation caused by agriculture, driving catastrophic climate change and ultimately, global warming were the cause of our debilitation. Things we were subconsciously aware of but chose to ignore. We chose to destroy our beautiful home and now, the reckoning is upon us. As you gaze out of the window across the desolate badlands, the skies burn a flaming blend of exquisite reds. The ground beneath you has completely shattered from the shrunken ozone layer. Long, connected fractures creep out for as far as the eye can see. The vivid green trees and lush, spongey grass seems but a fading memory now. It is a mystery to you, how this once thriving ecosystem can be the object of such an injurious holocaust. It has a kind of exclusive beauty about it… you wonder how it could simultaneously be so deadly. Your brows furrow in concerned frustration at the planetary cataclysm your kind has managed to provoke. The second chance you are about to retrieve feels undeserved. There is talk of a Tetrahedron concealed within the landscape on planet Mars. You and your team of NASA scientists have been studying it for a copious amount of lengthy years and believe it may have the ability to reverse cataclysmic climate change with the help of supernatural geoengineering. It’s a long shot, but it’s the only option. Our host Riley greeted us and led us to the room where he gave us a health and safety brief before our game began. The set was impressive and decorated well with rooms overlooking the most interesting part of the set but unfortunately you didn’t get to explore. The game starts a little small but will quickly open up once the game commences, this game would adequately fit the maximum sized team of 6. 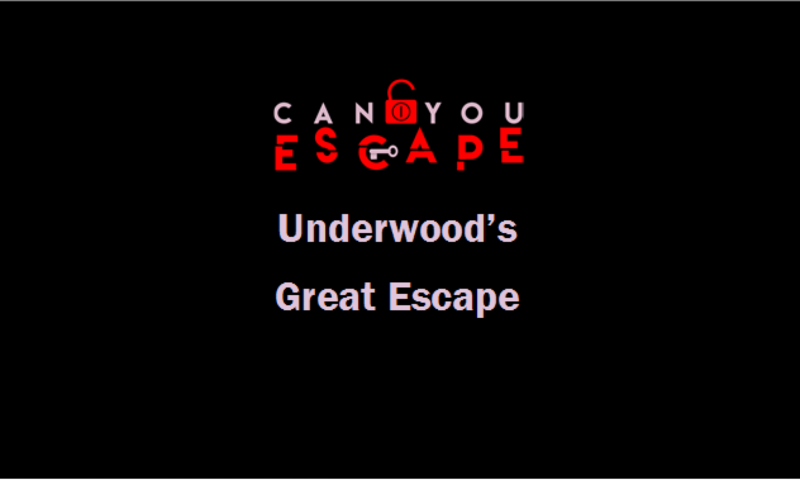 This was a very linear game, with a nice mix of logical, memory, and observational puzzles. The game had a good flow although we got a little lost at one point, but we’re soon back on track with a little nudge. Puzzles were well infused into the game and fit the theming well. You were able to ask for clues by calling out, clues were given by the host over the sound system. This game was well presented although it was a shame the central part of the set wasn’t incorporated into the game. With just the two of us there was a lot of running around to do with we didn’t mind that much about because we like quite active games.